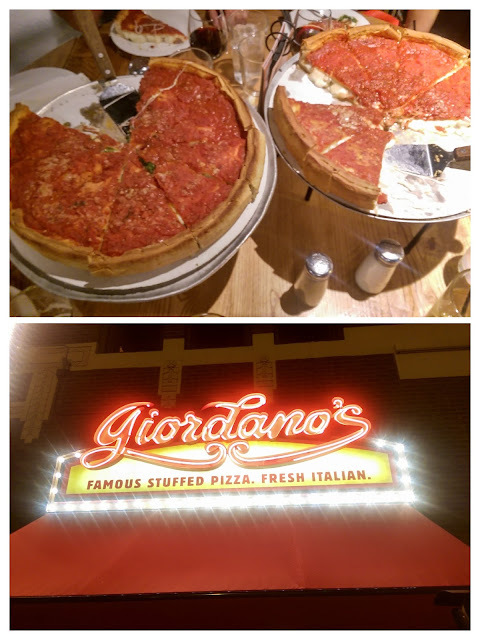 Now we're talking some serious deep dish pizza from the classic Chicago restaurant, Giordano's. One pie is pepperoni and spinach, the other sausage and onion. Serious chow down.